Caracas, Venezuela – (BasketballBuzz) – Cory Joseph and Tristan Thompson sparked a late 13-0 run that fell just short as a hot shooting Venezuela hung on to defeat Canada 64-59 at the 2013 FIBA Americas Championships. Canada trailing by a game-high 14 points in the late stages and struggling to find points, the Canadian defense locked in by holding the host scoreless for over a key five minute stretched and cut the lead to 60-59 with 1:48 left to go. However, Venezuelan shooting guard David Cubillan broke the Canadian run by burying his fourth three-pointer of the contest to put Venezuela up 63-59 with 1:36 remaining to give them a slim five point victory. Cubullian went 4-for-4 from the outside as Venezuela shot 10-of-22 (48%) from the floor, while Canada could only connect on 4-of-25 (16%) shots after torching Mexico on 16-of-28 three pointers the previous game. Cory Joseph (Pickering, Ont.) paced Canada with 14 points and four rebounds while long time teammate Tristan Thompson (Brampton, Ont.) pulled a down a tournament high 20 rebounds and added 12 points. Former Carleton Raven Aaron Doornekamp (6 points, 10 rebounds) also helped Canada edged Venezuela 40-24 on the rebounding battle. Venezuela grabbed control of defensive opening 10 minutes after Andrew Nicholson was whistled for a technical foul giving him three personals in the quarter, and Venezuela went ahead 16-14 after one quarter. Without Nicholson on the floor Canada struggled to score and Venezuela continued to knocked down outside shots and pulled ahead 35-26 at half-time. Venezuela controlled the opening and closing stages of the third-quarter by getting to the line and making their free-throws, and late run put them up 49-40 at the start of the fourth and final quarter. Venezuela gain took advantage of Canada’s slow start and jumped ahead 60-46 with 6:40 to play as the Canadians mounted their spirited comeback that came just short. 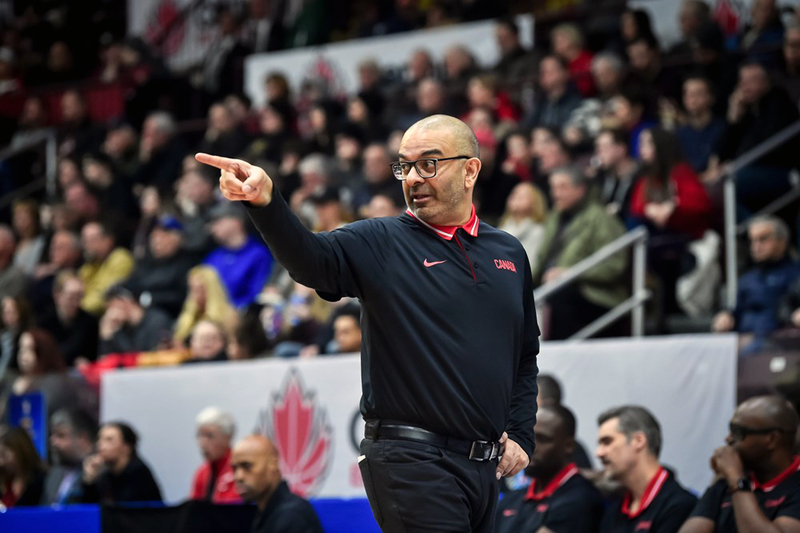 Canada (3-2) will now take on the Dominican Republic (3-2) in a key game as it attempts to finish in the Top four and qualify for the 2014 FIBA World Cup of Basketball in Madrid, Spain.